Le Château des Marais is an astounding luxury camping site found within the UNESCO World Heritage Site of the Loire Valley. Thanks to beautiful natural surroundings and on-site amenities, any camping holiday here will provide memories to last a lifetime. LUX-camp is happy to provide further details at your request. 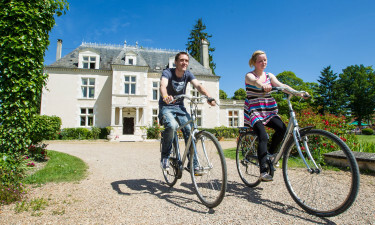 Why Should My Family Choose Le Château des Marais as a Luxury Camping Resort? A proximity to many famous castles. 116 pitches which contain mobile homes, chalets and tents. 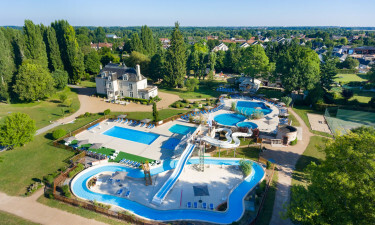 Families who wish to experience camping luxury punctuated with aquatic activities will be pleased with what Le Château des Marais has to offer. The large bathing area offers days of relaxation for children and adults alike. Serpentine water slides, an artificial river, a lagoon, a solarium and a paddling pool for infants are a few of the features not to be missed. This luxury camping site appreciates the fact that each of its guests expect to be fully catered to. All facilities are accessible by wheelchair. A laundrette is available for those who wish to wash their clothes while here. Dedicated water and power connections are available to each mobile home while charcoal grilles are permitted on all pitches. Waste disposal facilities as well as a gas bottle exchange are likewise provided at no additional charge. Please contact LUX-camp to learn more in regards to the other amenities provided. What would a holiday camping site be without access to a plethora of sporting activities? 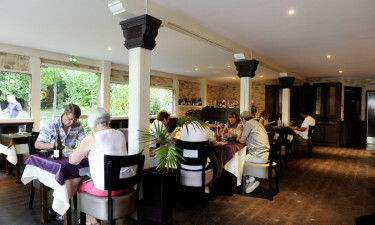 Le Château des Marais aims to address every individual taste. Some of the leisure sports to enjoy include tennis, table tennis, volleyball, miniature golf and (of course) swimming. Bicycles can be rented out on a daily basis to take local excursions. Those who wish to simply relax during their stay can take advantage of the on-site sauna to be found here. This holiday camping site also provides various shopping opportunities. Vival Casino Supermarket contains fresh bread, fruits, vegetables, wines and a wide range of baked goods. A nearby shop provides guests with camping essentials as well as postcards, international newspapers and souvenirs. All of these facilities are found quite close to the pitches themselves and they are open during the peak and the off-peak seasons.